How often do you think about the cleanliness of the glass you are drinking from when you are out for an evening? I know, it’s not something that usually comes to mind. But, let’s look at why you might want to examine that glass before you sip that liquid. As children, we are taught not to share our drinks with anyone, especially strangers, nor to drink from someone else’s glass or bottle. Of course, we now understand that our parents were concerned about how germs and illnesses are spread. So, as adults, why is it suddenly okay to go out to a club, bar, or other social event and drink from whatever glasses are handed to us? The process that most bartenders use for cleaning drinkware and bar glasses is to dip the glasses in a small sink filled with sudsy liquid and uses a sponge to clean them, then the bartender rinses the glasses with water in another small sink, then uses the same bar towel to wipe the glasses before using them to fill your drink orders. Occasionally, the sudsy water gets murky from leftover bits of fruits or vegetables, and it is changed. The sponge, which has crevices where germs can get caught is rarely changed. But, what if your glass was the left one “washed” before the suds were changed? What if some of the food bits or thick liquor sticks to the inside of the glass? What if lipstick marks are not cleaned off during the “washing”? This gives a new slant on the drinking toast, “Here’s mud in your eye.” I’m sure you get the point here that washed bar glasses are not always as clean as you expect. Is there a better way to ensure that the drinkware is sanitized, clean, and free of the stains and germs? Yes, there is a much better alternative. And that alternative’s name is Swish Plastic. Swish Plastic’s superiority to any other form of plastic drinkware is based on its revolutionary manufacturing usage of Tritan™ Plastic that enables the finished product to look and feel like real glass. Tritan™ Plastic is free of all chemical building elements used in typical plastic products, such as BPA and BPS, lead, mercury, cadmium, sulfur, and nitrogen. Yes, that is a lot of technical information, but that translates into a number of benefits for you and your health. Swish Plastic glasses stay crystal clear for a long time. And, thanks to Tritan™ plastic, there is no cloudy finish and absolutely no left over particles or remaining liquids in or on the glass. The materials used in all eight styles of Swish Plastic glasses are specifically designed to be both beautiful and hygienically safe. They are so attractive that they make fabulous gifts for the holidays, house- warmings, bridal showers, anniversaries, or any other milestone celebrations. The glasses are made to resist dents, stains, and scratches for many years. They are nearly impossible to break or shatter, which is an extra value when used at events where children are in attendance. They are perfect for both indoor and outdoor use, in restaurants, pubs, bars, clubs, special events, and homes. Goodbye worries about the dangers of broken glass. Thanks to the superior manufacturing of Swish Plastic, there is never any plastic smell or taste that is common with other plastic products. The only thing that you will taste is the tongue pleasing flavor of your favorite drink, just what you would expect. Swish Plastic glasses are heat and chemical resistant. This means that they are dishwasher safe without any concerns about them warping, breaking, or leaking any chemicals. To prevent any potential scratches, do not hand wash the glasses with wire bristled brushes. Swish Plastic glasses are ideally washed by placing them in the top tray of the dishwasher. Whether you prefer to let them drip dry or wipe them with a dish towel, their will retain their clear shine. The Tritan™ plastic is environmentally safe. Swish Plastic glasses are BPA, BPS, lead, mercury, sulfur, cadmium, and sulfur free. All of these prerequisite precautions mean that when you do dispose of your Swish Plastic glasses, they will not release any harmful chemicals into the waste stream or the environment. The price of Swish Plastic glasses are comparable with regular glasses, but Swish Plastic glasses pay for themselves several times over due to their sustaining capabilities. Plus, they are definitely less expensive when you consider how many times you need to replace broken, chipped, stained, and scratched regular glasses. Swish Plastic glasses are stylish, beautiful, and long, long lasting. When you serve your family, friends, and customers their favorite beverages in these glasses, you are discreetly demonstrating your consideration for their safety and worry free enjoyment. Bottoms Up! Whether you own a bar, are planning a large event or want to have an intimate pool party with friends and family, you know that providing the right variety of beverages is the quickest way to get the party started. Drinking is so much more than a social event; it brings people together and allows everyone to unwind and relax, leading to a positive and happy environment. When it comes to providing people with alcohol, the glasses are just important as the drinks themselves. For one thing, purchasing a large number of glasses is a big part of your budget. Therefore, it’s important to be selective and make the best decision while you shop around. Once upon a time, there were two options: glasses made of real glass that were costly and highly breakable or plastic cups that were remarkably inexpensive but looked cheap and had no place in an upscale environment. Today, however, there are plastic glasses that are made with such high quality materials that you wouldn’t know that they’re made of plastic at all unless you saw one drop without shattering. These high-end plastic glasses have many benefits over real glassware while looking just as elegant as the real thing. We have broken down the four main benefits of using plastic glasses for anyone who is looking to buy glasses in bulk, whether it’s for a poolside barbecue or stocking up your bar. It’s an unfortunate truth that the more people that are drinking, the higher the chance of something dropping or breaking. If you have a room full of 100 people drinking alcohol, it’s highly likely that someone is going to knock over or drop their beverage. Dropped or knocked over beverages don’t just make annoying messes; when there’s broken glass, there’s a serious risk of someone getting injured. If you’ve ever broken a glass in your kitchen, you know how hard it is to pick up every last shard. That’s why high quality plastic glasses are a such a great alternative. These glasses are completely shatterproof. Plus, because these glasses are reusable just like regular glasses, you won’t have to keep buying more each time that one breaks. Imagine the savings! Because these glasses are shatterproof, they are ideal for parties that take place around a pool, on a boat or in an environment that has young children. If you have ever served champagne to a large number of people using traditional champagne flutes, you know how annoying it is to have to wash all those flutes by hand after the party is over. Many different types of glass cannot be thrown in the dishwasher because the materials are just too fragile. However, these plastic glasses are totally safe in the dishwasher thanks to the high quality materials used. Whereas some plastics may melt easily when exposed to such high temperatures, the quality of the plastic used to make these glasses allows them to withstand high temperatures. Despite the elegant and high-end look and feel of these plastic glasses, they are significantly more affordable than traditional glassware. This is a huge advantage especially if you own a bar or are throwing a large event and need to buy glasses in bulk. Depending on the number of glasses that you need to purchase, you could save between hundreds and even thousands of dollars by purchasing plastic glasses without sacrificing aesthetics or quality. If you’re purchasing glasses in bulk, you’re going to be transporting a lot of large boxes. Boxes full of plastic glasses are extremely lightweight compared to boxes full of real glass. Lifting heavy boxes of glass can even result in a serious injury. Because these plastic glasses are so lightweight, you can stack them as high as you’d like for storage purposes without worrying about the weight of the glass tipping them over. This list highlights just some of the advantages of choosing plastic glasses. Today’s plastic glasses have the look and feel of high-end glassware while offering tremendous benefits over using real glassware. Whether you own a restaurant or bar, are planning a pool party or are coordinating a large event, if you are planning on serving people beverages in the near future, consider using plastic glasses. You’ll save money and be free of the worry of dealing with broken glass. It’s the middle of summer in Australia, meaning that it’s endless barbecues, long nights lounging on your deck and weekend trips to the beach. What better way is there to enjoy all of these summer pleasures than with a delicious cocktail in hand? 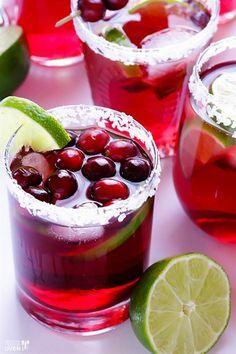 Cocktails are a refreshing and tasty way to enjoy the warm weather. 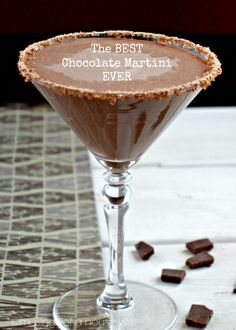 However, when it comes to cocktails, you have to be careful because you just might be loading up on excessive calories and sugar that could undo all the hard work you put into obtaining that perfect beach body. 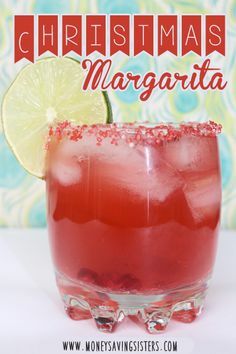 For instance, did you know that a margarita contains an astounding 750 calories? That’s why we have created four healthier alternatives to your favourite warm weather cocktails. These cocktails have less calories and aren’t as full of sugar. They even provide extra nutrition thanks to the use of fresh fruit. If you’re looking to stay slim while enjoying a variety of cocktails during this upcoming summer season, look no further than these four incredibly simple, healthy and delicious recipes. Pina coladas offer a tropical flavour that makes us feel as though we are on an exotic island. If pina coladas are usually your go-to beverage in the summer months, opt for this healthier alternative instead. One pina colada can deliver a whopping 660 calories to your body. This alternative ditches the sugar-laden coconut milk and provides some extra vitamin C thanks to the addition of fresh fruit and fruit juice. Blend all these ingredients in a blender until smooth. Pour into a Swish Plastic Tritan Highball Tumbler and enjoy! If strawberry daiquiris are your thing, switch to this healthier alternative that delivers just as much intense strawberry flavour. A typical strawberry daiquiri can have an incredible 1,100 calories! Throw all the ingredients into a blender and blend until smooth. Serve in a Swish Plastic Tritan Martini Glass. If you’re trying to cut back on alcohol entirely this summer, there’s no reason that you can’t enjoy the taste of a refreshing beverage. This spritzer uses real fruit juice and club soda to create a concoction so sweet, tangy and refreshing that you won’t miss the booze one bit. Combine all the ingredients together and serve over ice in a Swish Plastic Tritan Martini Glass. Are you a fan of bottled alcoholic lemonade drinks? These drinks are indeed refreshing, however they are loaded with sugar and preservatives that can cause you to pack on the pounds easily. This incredibly refreshing drink will provide you with lots of nutrients while you sit in the sun. Cucumber and mint will leave your body feeling refreshed while the tart lemon flavour will tease your taste buds. Combine all the ingredients in a blender and blend until smooth. Pour into a Swish Plastic Tritan Stackable Tumbler and sip away! These recipes will allow you to sip away on luxurious cocktails while keeping that beach body in check. 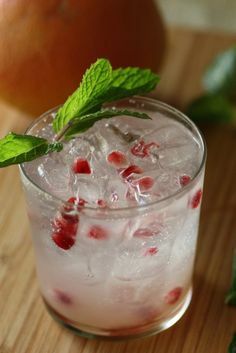 Even though these beverages are significantly healthier and lower in calories than many popular cocktails, their sweet and refreshing flavours will win you over. It’s Not a Christmas Gift if it Doesn’t Include Swish Plastic Glasses! Are you busy trying to come up with Christmas surprises for your long gift list, but you would also like to find out how it feels to end the holiday season without being mired in debt? You’re not alone. After all, who doesn’t love the idea of being original, and where is it written that spending a bundle is better than being downright clever? Our six gift ideas are not just easy to put together but you could find yourself the star of one or more occasions when friends and family see the delightful ideas you came up with on your own! There’s even a bonus to be had: Our drinking glasses are made of safe plastic and stand up to all sorts of abuse, so even if guests decide to throw/drop/clink toasting glasses, those Swish Plastic glasses can live to toast another day! Whether they own a small motorboat or a yacht, sailing friends and family will be most appreciative of an entertainment gift with a twist. Start out by visiting a toy store to locate a large, plastic kid’s toy boat. Fill it up with snacks enough for a light lunch on the water. Include sleeves of crackers, cheese, dried fruits, wine plus Swish Plastic stemless wine glasses. Roll napkins into one of the glasses and tuck plastic utensils into the other so recipients aren’t high and dry when they are ready to cut into that cheese. Channel the child in your soul by creating a craft wagon using Swish glasses as supply holders. Start with an inexpensive wagon (e.g. this Frozen themed one). Super glue tall, plastic Swish glass bottoms to the wagon floor. Fill spaces between the glasses with art papers and pads. Put the finishing touches on this kid-friendly gift by filling each empty glass with paints, brushes, crayons, coloured pencils and other useful craft items. This art wagon, with its Swish glasses, will be around for a very long time. A plain wicker basket should suffice if you don’t want to go to the expense of buying a pricey picnic basket and your gift will be just as appreciated. Fill the bottom of the basket with an inexpensive tablecloth and then neatly arrange easy-to-prepare and serve lunch treats like slices of cured meats, cheeses, rolls or mid-eastern naan, and don’t forget the dessert biscuits. Tuck at least one beverage into the basket plus Swish plastic glasses, napkins, plastic cutlery and packets of condiments. Add grapes just before you present your gift. If there happens to be a couple on your gift list who are having a baby in the near future, you could earn their undying love and appreciation by making them a “Home from the hospital” holiday gift arrangement. First, fill plastic baby bottles with nuts, candies and other snacks. Find a big, colourful plastic or metal bucket that can be recycled for future household tasks and fill in the expanse with a supply of rolled-up newborn baby diapers. Place a bottle of bubbly into the center of the pail filled with diapers and circle the wine with the filled baby bottles. Tuck half a dozen Swish Plastic champagne glasses into the arrangement—so new grandparents can toast baby, too. Don’t Forget Brutus and Whiskers! Admit it: you always include pets when you prepare Christmas gifts for friends and families, so why not use Swish Plastic drinking glasses to organise this year’s creations? Start with a large, round plastic pet bowl that’s big enough to accommodate at least 5 Swish Plastic tumblers. Place a pet bandana in the bottom of the bowl to add a touch of colour and then seat the glasses into the bowl, using clear packing tape to hold the glasses together. Place a different packet of pet treats into each glass and decorate with ribbon for a festive touch. Are there lovers on your Christmas gift list? Make them a bath ensemble that elevates time in the tub to a romantic encounter. A nicely-sized plastic or glass bowl serves as a base. Place a bottle of sparkling wine in the center of the bowl (alcoholic or non). Add silk leaves or package shreds to form a decorative, cushy layer of colour and two Swish Plastic Wine Glasses on either side of the bubbly. Fill in empty spaces with luxurious bath items like salts, bar soaps, bubble bath and a couple of rubber ducks just for fun. Want to keep on creating? Roll up washcloths and shape them into roses (follow the video below for instructions) before placing them artfully into your romantic bath arrangement. It is that time of the year again, time for the footy finals. And whether you are keen to watch the first Sunday of October for the NRL final or you’re more of an AFL kind of person, there’s a drink and a footy final party waiting for you. The excitement of the game can get to anyone. Blood pressure rises, celebrations get rowdy and frustrations can come out in energetic ways. That’s why it is smart to replace any glassware in the house before the party starts. You don’t want the mates breaking any glass no matter the outcome of the big game. But you don’t have to turn to red solo cups and party like bogans. You can throw a classy footy final party complete with different, nearly unbreakable cocktail glasses to suit each of the drinks that you serve. Replacing your glassware with unbreakable plastic drinkware from Swish Plastic guarantees a good time for all while shatter-proofing the house. 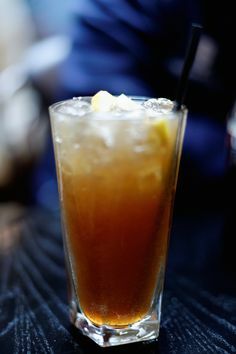 Manly men may prefer to drink beer during a rough footy match and you can satisfy that with this beer-based cocktail. Toss this man drink into a stackable plastic tumbler from Swish Plastics to give him the idea that he’s drinking a brew and he’ll fit right in with the boys. Add the bourbon, sugar and bitters and shake it up well. Strain into 4 Swish Plastic Stackable Tumblers and top each with half a stubby of ale. Rub the rim of the glass with the orange peel and then add it to the drink along with a cherry. Cherry is optional, in case you want to maintain the manliness. There are two liquors known to get a footy fan rowdy — bourbon and tequila — and we’re covering both of them with the first two drinks. Drop this punch into a Tritan Plastic Stemless Wine Glass from Swish Plastic to class it up just a bit. And if any footy fan complains, tell them to man up and drink the tequila. Toss the tequila and club soda into a jug. Add the limes, oranges and grapefruit and let it rest for 10 minutes in a cool spot. Add ice to the jug, forcing the punch rise to the top. Serve in chilled glasses with some fruit in each of the Stemless Plastic Wine Glasses. Need to stay super focused on the game? Coffee will do the trick. And this drink has a novelty — Cachaca. Some say it is the oldest liquor on planet earth. It is herbaceous and pungent like tequila but it is made from sugar. 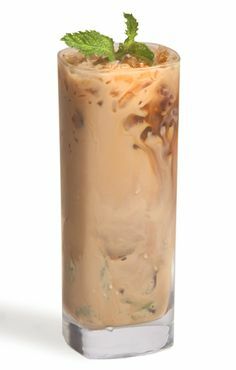 Serve careful portions of this caffeine-liquor mix into a Tritan Plastic Medium Tumbler. This one is simple. Carefully measure ingredients and toss into a shaker, minus the cinnamon stick. Shake it up good and then strain into a Tritan Plastic Medium Tumbler full of ice. Class it up with a cinnamon stick, if you please. Are you the kind of footy fan that can’t decide between beer and hard cider? Well, you are in luck. This drink is simple and effective; easy to make and easy to drink, allowing you to focus on the game. Toss these two simple ingredients into a Tritan Plastic Highball Tumbler to savour the flavour of your favourite drinks mixed together. Pour your favorite beer, filling the Tritan Plastic Highball Timbler halfway. Turn a spoon over and hold over top of the glass. Pour slowly to separate the beer and the cider for layered flavour. This one is saved for the losers of bets; the supporters of the losing team. Enjoy. Fill Tritan Plastic Shot Glass with whiskey and add hot sauce then throw it back. With the summer rolling into Australia, it’s time to spice up your evening cocktails with some new twists on old favourites. Each of these unique recipes can be paired with one of Swish Plastic’s high quality polycarbonate glasses – guaranteed to survive late nights, summer parties, and drinks by the pool. You may be familiar with the Kir Royale, a classic champagne cocktail for a refined summer party. This variation replaces French crème de cassis with England’s favorite liquer – Pimm’s No. 1. Serve it in Swish Plastic’s 170 ml Plastic Champagne Glass as the aperitif at your next summer event. Pour champagne over Pimm’s in a Swish champagne glass. Finish with 2-3 strawberries or raspberries. Enjoy! Our Stemless Plastic Wine Glasses are Here! No More Wine Glass Breakages! Due to popular demand, we are pleased to announce a brand new addition to our range: Stemless Plastic Wine Glasses! Stemless Wine Glasses are Here! These 300ml wine glasses are ideal for both red and white wines, cocktails, juices and more. At just $6.95 per glass they are an affordable and safe option for your home, holiday house, bar, club, pub or just about any other venue. Made from polycarbonate, these glasses won’t break or shatter; and they’re dishwasher safe! I don’t use these just for wine, but for everyday use too. They are nice and heavy and look like real glass – really impressed by the quality! How do you purchase these wine glasses? Simply head to SwishPlastic.com.au and view our online range of polycarbonate drinkware. Shipping is free for any orders over $100 within Australia. Fresh Pineapple & Strawberry Juice! Summer is upon us and what better way to enjoy the warmer weather than with delicious, home-made juice! We’ve Made Fresh Changes to Our Website! B52 Shooter – Bombs Away! You’re at a club and want to spice up the night a bit. You saunter over to the bar confidently with cash in hand, only to blurt out something about tequila to the barman. As soon as the alcohol hits your lips you remember why you promised yourself you’d never take another tequila shot in your life. There’s a new boss in town. Meet the B52 Shooter. Not only is this delightful cocktail a pleasant change from Mexico’s finest, it’s simple to replicate too. As such, you can easily make your own at home by following this recipe.